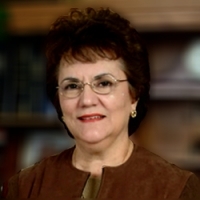 Having planted the church along with Pastor Rafael Najem and John Purpura, Pastor Vi served on the executive board of Women’s Aglow fellowship in the 70’s and pastored home fellowship groups for years. She was ordained by Faith Christian Fellowship International in 1988. Pastor Vi has pioneered and conducted numerous nursing home ministries, women’s Bible studies, and women’s retreats for more than 30 years. She currently oversees a number of active ministries in the church including women and children’s ministries, restoration, and prayer.